A freelance travel writer and photographer, journalist and broadcaster, with travel in my veins, minding critters all over the world has added another big boost of adventure and loads of love and laughs to my already fascinating life on the road. An Australian indeed a 'Taswegian' (yes Tamara the Taswegian), I have a cat and flat in Paris but often leave both for months on end to travel in Asia, the US and of course back home to Australia for several months every year. When on the road I look out for house and pet sits, to allow myself to immerse in the place and not be lonesome just like the pets. I also apply for furry friend sits in places I really want to visit as it is the best way of connecting with the locals, the scenery and the spirit of a place. The location on my profile is just the current one - maybe for a fw days or week. My next stop could easily be yours if you think your animals will find me irresistible and me them! Right now I am looking for sits in Malaysia and Singapore. Animals are a destination in themselves - and very often make the trip. I get a lot of fuel for thought looking after turtles and pussies in Paris, cats in California and Hong Kong, horses in the Castelli Romani, and pooches in Paris, Melbourne, Sydney, San Francisco, New York, Hobart etc. What I seek in return is some amazing animal-tripping, a nice place and the pets to call home for a while, an inspiring change of scenery mapped by furry friends, and a peaceful, quiet writing atmosphere. I have fantastic references from house and pet sits all over the world. I am 100% reliable, caring, professional and thorough and treat a house and the pets as though they were my own. I have never let down a house or pet owner - but often been called upon last minute for those who have! Given my freelance status, I am very present as a sitter as I just spend the time writing away, and visiting locally of course. I particularly like cat and dog sits - and can walk and or run with dogs daily or as required. 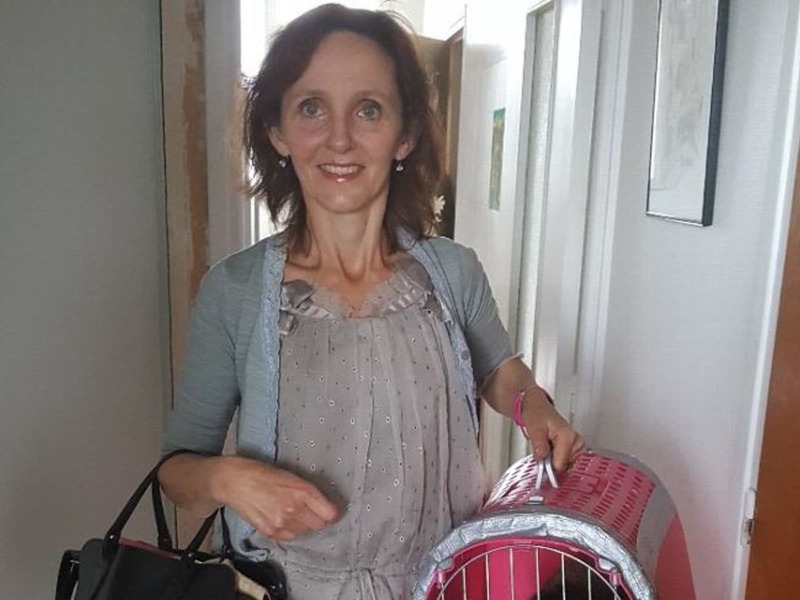 Tamara is a very open, warm and friendly person who has had a wealth of experience as a house-sitter both in Australia and in Europe. leaving the house, and my much loved dogs Max and Zoe, in her hands. Because of Tamara's experience and maturity, I felt confident that, if any problems arose, she would know how to deal with them. order and Max and Zoe were clearly very fond of Tamara, so I knew they had been well looked after. Since that time, on my recommendation, Tamara has house-sat for a number of my friends. I highly recommend Tamara to you to care for your house, garden and pets. My husband and I recently took a trip to Byron Bay. We have two very needy dogs Freddo and Ginger our precious cavoodles. I have never really left them before, let alone with a stranger. I must say that the moment I first met Tamara my mind was at ease. Freddo and Ginger took to her like ducks to water. We planned to have a couple of nights with Tamara before we left so that I could be sure that I would be comfortable. I need not have worried. My two dogs were in heaven with their new buddy. Tamara took them on far more walks than I ever do. Before we left, Tamara made sure that at no time did my husband or myself feel as though our space was being invaded. On our return, I came home to find the washing I had hung out had been folded and left neatly in the laundry basket. Tamara offered to cook us a vegetarian meal, which we both thoroughly enjoyed. It was lovely to have the night off. We would have no hesitation in recommending Tamara for a housesit job. 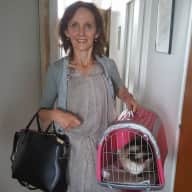 Tamara came and looked after our elderly dog, and our grumpy old cockatoo in Gympie rural Queensland for 3 weeks in 2019. We had to come and go as she was incredibly flexible in adapting to our crazy and up-and-down schedule which changed several times. She is an incredible pet host, extremely conscientous and diligent about doing light chores such as maintaining the pool. She was loving and patient with Gypsy who is 16 and rather old and arthritic - taking her for slow walks fitting to her ability. We would not hesitate to call on Tamara again (if ever she is back from her travels when we require), and strongly recommend her to others who want a reliable, friendly, enthusiastic and interesting to boot sitter.